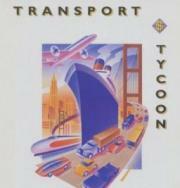 Transport Tycoon is a video game designed and programmed by Chris Sawyer, and published by MicroProse in 1994. It is a business simulation game, presented in an isometric view in 2D with graphics by Simon Foster, in which the player acts as an entrepreneur in control of a transport company, and can compete against rival companies to make as much profit as possible by transporting passengers and various goods by road, rail, sea and air. (wikipedia.org).